Microsoft fixes its touch interface bug reported previously. About a month ago, I posted about a bug deep in the Windows 8.1 touch interface code, a problem which triggered an exception in our products. I detailed the debugging process and verification that it was an error in Microsoft’s latest operating system. 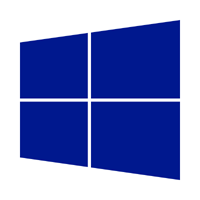 Unfortunately, we still need to update all of our Windows products, since we cannot rely on customers applying the update (and, ironically, it actually fails to install on one of our development systems). The fix comes too late, after Windows 8.1 was distributed to the public at large and, also, after I spent many hours debugging the problem. Still, it is better that it was acknowledged and fixed (than denied and ignored). A series of updates for Goodsol products will commence shortly.